Ensco has received a $2.9M contract from the Department of Homeland Security to extend the development of a two-tiered biological hazard detection system for buildings and high-occupancy facilities. The Falls Church, Va.-based engineering firm will further develop, integrate, demonstrate and test the sensor-based aerosol detection system over an 18-month period as part of the SenseNet program’s third increment, DHS said Thursday. Phase three of the effort involves the integration of various kinds of sensors that may operate in a distributed network and produce data to support response and situational awareness activities via a cloud platform. 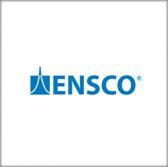 Ensco secured a $4M contract in August 2016 to begin building the system, followed by another award in the same month to conduct phase two together with PositiveID. William Bryan, a senior official performing the duties of the undersecretary for science and technology, said the program seeks to develop and innovative tool that deploys sensors that can detect potential hazards and differentiate threats from naturally occuring phenomena. “SenseNet is a key example of how S&T is creating new approaches to help protect American citizens and infrastructure,” he added. The biohazard detection tool leverages the capabilities of sensors intended for both environmental monitoring and commercial applications including air quality and pollution tracking as well as energy efficiency initiatives.